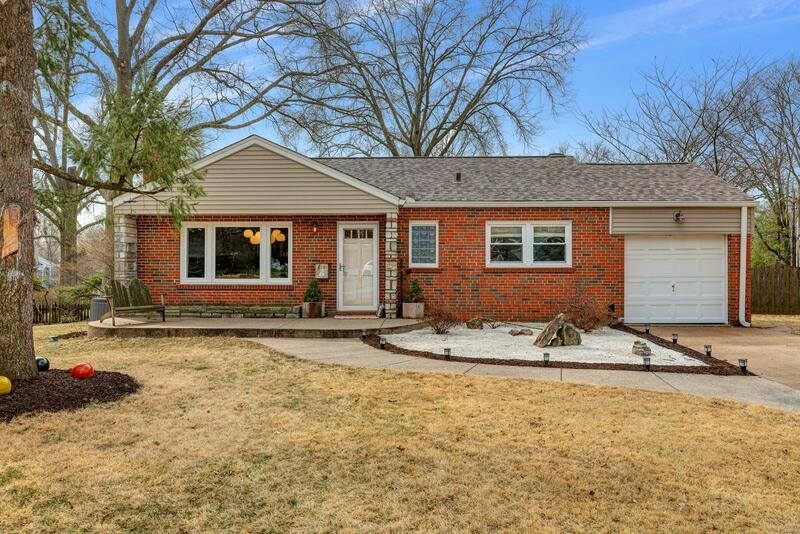 Welcome to 619 Clemens Court, the perfect 3 bed/2 bath Kirkwood ranch! Upon entering this chic home, you will be wowed by the opened up dining room and kitchen. This remodeled space features extensive cabinetry, abundant counter space, a copper sink, and loads of built-in storage, all with a cool, modern vibe. Whether creating your favorite culinary eats, entertaining friends, or helping kids with homework, the kitchen is the heart of this home. Through the kitchen, you'll find a beautiful Mosby addition with a light-filled living room complete with barn-wood planked wall and a generous master suite that walks out to the backyard. Two additional bedrooms and another full bath round out the main level. The basement offers two bonus rooms and great storage, so you can actually park your car in the 1 car garage. Located on a quiet cul-de-sac just a short walk to Keysor or Kirkwood HS, this home offers all the best of Kirkwood living!